It was just a few years ago that I first learned about naan bread. Naan is flatbread that is baked in an tandoor oven and is usually soft and teardrop shaped. 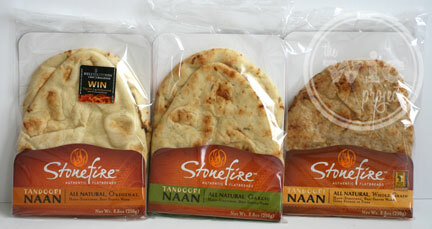 While originating in India, thanks to companies like Stonefire Authentic Flatbreads, we can get the authentic taste of Tandoori Naan bread at home – no oven required. Stonefire™ Authentic Flatbreads is a family-owned bakery with over 40 years of experience and a simple mission: To make one of a kind, authentic flatbreads. Founded by the Ajmera family, Stonefire™ Authentic Flatbreads bake authentic naan, roti and pita using traditional baking methods and the finest natural ingredients. To heat up your naan, sprinkle with water or brush with olive oil, then use a preheated oven (preheat to 400F and heat for 2-3 minutes) or grill it. There’s also a third, totally fun option to heat it on your gas stove top. 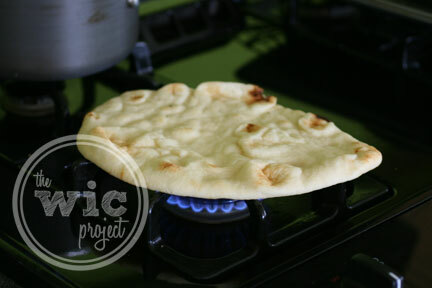 Just turn the burner to medium-low heat, sprinkle the Naan with water and then heat directly on the burner. I rotated the bread every 15-20 seconds to make sure it didn’t burn, then flipped and heated the other side. Once it’s heated, you can use the naan as is or slather it with some butter to take it over the top. The original naan was simple and tasty, but I also loved the garlic infused flavor of the garlic naan as well. Not too garlic-y or too mild. The whole grain option is a great option as well and has a whole wheat bread flavor. One of the things I love about Naan is that it is multi-purpose. Stonefire Authentic Flatbreads can be used in so many different ways and recipes. Over the course of a few days, I used it as a side for my soup, to eat with a salad, and as the wrap for some meatballs. We even used them to make Philly Cheesesteak Naan sandwiches. So tasty. I actually just got back from the grocery store where I picked up a few more packages (from the bread section) which will be used to make breakfast sandwiches. If you’re looking for a way to add some variety to your breads, take a look at Stonefire Authentic Flatbreads, available in a grocery store near you. I would like to try the Garlic!! I’d love to try the garlic one. I would like to try the garlic. 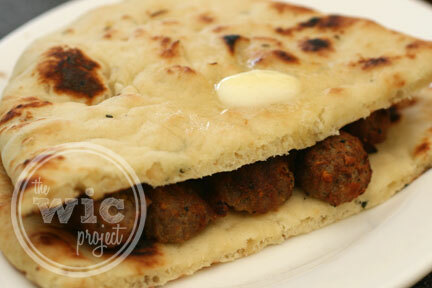 this is wonderful bread…my husband introduced it to me about a year ago too when he made me some authentic indian food! Great Stuff!!! They all sound great but I would have to say Garlic. I looove flatbreads. Can’t wait to try this. Def. going on my shopping list!! Would love to try Garlic. Garlic naan is great. Thanks. I’d love to try the Garlic most! Thanks. 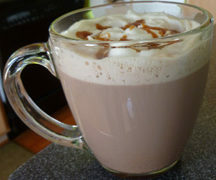 It looks so good and tasty, I need try it! I would love to try the Garlic! I love me some garlic!!! Would love to try the garlic. Yum! Garlic is my favorite! Love this stuff!!! I’d like to try the garlic. Love garlic! I’d love to try the original flavor! I like the Garlic Naan the best. I’d like to try the Whole Grain. I would try the original first. I’d like to try the Whole Grain flavor. I’d like to try the Whole Grain flavor. Thanks so much for the fantastic giveaway! I guess I’m a purist, but I think I’d like to try the original. Garlic Nann would be my favorite flavor to try! At the local indian restaurant I like the garlic naan, so I would like to try yours and see how it compares. I would like the whole grain. I’d like to try the garlic flavor. I want to try garlic! I like original =) My daughter & I are HUGE Indian cuisine fans. Nothing like piping hot buttered naan! I’d like to try the Garlic! The whole grain. thank you for the chance to win. The original then garlic.. i’m sure i’d love both! i would love the garlic one! I’d most like to try Whole Grain ヅ *Thanks* for the giveaway! The Garlic Naan sounds great! I would love to try the garlic one! I would opt for the garlic. Love Garlic, love naan. I have had the Original and Whole Wheat – can’t wait to try the Garlic! I want to try them all but, the garlic I would taste first. I love them all! I them to make pizza. They are really great!